People in distress in a rubber boat were rescued by the Nivin, a commercial cargo ship in international waters. Despite international and maritime laws stating that rescued people be brought to a port of safety, on November 10, 2018 they were brought to Misrata, Libya, where the cargo ship was initially headed. To begin with, there were 97 people on board, but two agreed to leave the ship. The remaining rescued people refused to disembark in Libya for fear for their safety. Between November 11 and 18, MSF medical staff carried out over 90 medical consultations onboard the Nivin. On November 14, 14 vulnerable people left the boat and were transferred to official detention centres. On November 20, Libyan security forces conducted an operation to forcibly remove the remaining people on board. Below is an open letter written by MSF Operational Manager William Hennequin sent to Ghassan Salamé, UN Envoy to Libya. During a recent media interview, you referred to the situation of some 90 refugees and migrants on board the merchant ship Nivin. After being rescued in the Mediterranean Sea by the ship’s crew, these people were taken back to Libya. Arriving in the port of Misrata on 10 November, they refused to disembark. Ten days later, on 20 November, Libyan security forces stormed the ship and forcibly removed everyone on board. You referred to negotiations by UN agencies and Médecins Sans Frontières (MSF) with the people on board the ship – who you appeared to judge as “divided” and partially responsible for the storming of the ship due to their desperate obstinacy to uphold their rights. You declared that you were “able to extract 14 people peacefully,” referring to a group of people who, after four days of tense confrontation, chose to disembark voluntarily from the docked ship. You made no mention, however, of the fact that, after disembarking, these 14 people – who included a mother and her four-month-old baby, adolescents and people with minor injuries – were taken from the cargo ship to a detention centre, where they remain to this day. This was a major omission for anyone trying to understand what happened in Misrata and, by extension, to understand the brutal reality in store for people either intercepted or rescued at sea and returned to Libya. Our teams in Misrata played no role in negotiating with or advising the refugees and migrants on the boat on what actions they should take. There was even less question of our teams trying to persuade them that an indefinite stay in one of Libya’s official detention centres would be the answer to their distress. What we did do was give them medical care. Between 11 and 18 November, we negotiated with the Libyan coastguard and other forces present to gain access to the docked Nivin and provide medical treatment to those on board. We provided more than 90 consultations, mainly treating burns resulting from a mixture of spilt fuel and seawater, skin infections and generalised pain. Refugees, migrants and asylum seekers in detention center in Kararem, near of the city of Misrata. File image from 2016. We also alerted the Libyan authorities and international organisations to the pressing need to come up with a solution to the situation – to make sure that violence and detention were not all that awaited these people – but our efforts fell on deaf ears. Before the operation of forced disembarkation was launched on 20 November, we were able to see with our own eyes the despair and extreme vulnerability of the people on board the Nivin. 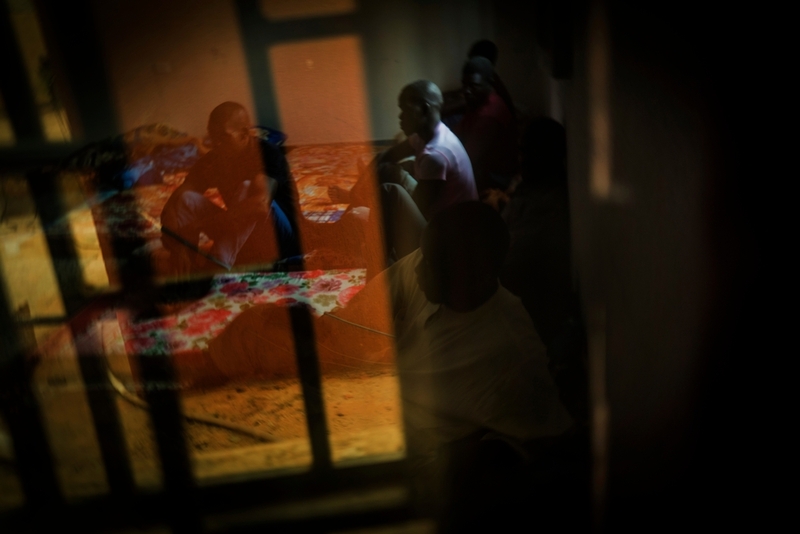 They had survived periods of detention in Libya lasting from a few months to several years. They had been held in official Ministry of Interior detention centres, where more than 5,000 refugees and migrants currently languish, and to whom international organisations such as ours have only limited access. Others had been held in clandestine places run by people traffickers who use torture to extort as much money as they can from captives and their families. The scars seen by our medical teams on several patients on board the Nivin attest to the extreme levels of violence they had experienced. Their experiences in detention followed the succession of situations of danger, exploitation and abuse that punctuated these people’s journeys. A dozen of them are registered as refugees with the UNHCR and some are children as young as 13. They are also the survivors of a sea crossing where the risk of dying has increased exponentially due to the plan – masterminded by Italy and other European countries and implemented in partnership with the Libyan coastguard – to return as many people as possible to Libya. Ever since Italy and Malta closed their ports in the summer, the non-provision of lifesaving assistance seems to be gaining ground in the Mediterranean. Merchant ships are electing to steer clear of inflatables in distress to avoid being stuck out at sea or, in violation of international maritime and humanitarian laws, having to forcibly take people they have rescued back to Libya. This group of refugees and migrants say that no less than six ships turned away to avoid them before the Nivin approached them. These are people who should never have been taken back to Libya, and who, by refusing to set foot again in the prisons of Libya, were upholding their rights – the right to flee, and the right to seek protection and land in a place where their claims could be examined and their lives would not be in danger. What exactly did the agencies tasked with ensuring the protection of these rights doing during the 10-day standoff? You explained that a reception and transit centre run by the UNHCR which had been waiting for months to open its doors in Tripoli, was not part of the solutions. “There’s no connection between the centre and this small incident,” you said. So why was the transit centre discussed if it was never considered an option? This centre eventually opened two weeks after the assault, by which time you had already dismissed its role in providing a viable way out for the people on board the ship. 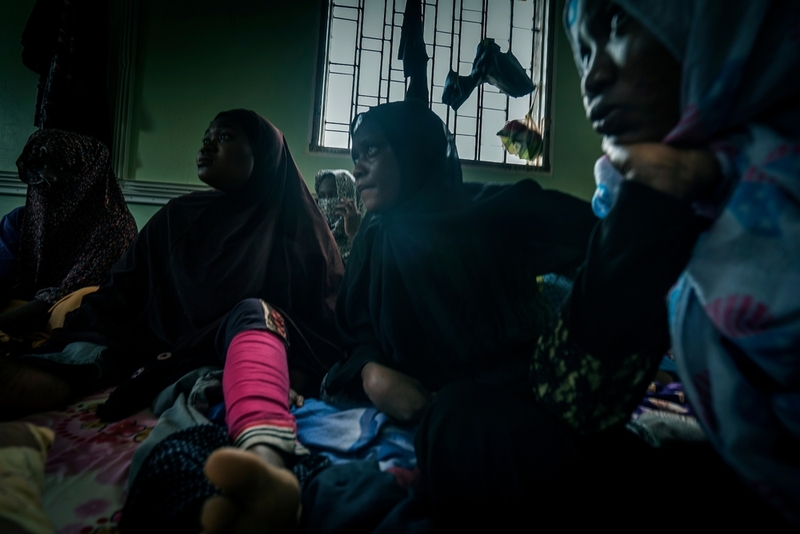 The survivors are now being held in official detention centres, in police custody or similar facilities, while yet others are in medical centres. Some face prosecution in Libya for piracy. We have very little information about their situations and we are not authorised to visit them or provide them with medical care, including follow-up care for those we treated on the Nivin. All of this explains our reluctance to believe your assertion that, after everything they have been through, the wounded are “in good health”. Their recent experiences have been harrowing in the extreme, and come on top of everything they already endured in Libya and on their journeys. After the assault by authorities on the Nivin, we saw ambulances leave the port area in a hurry, but the exact number of people wounded is unclear. Our information suggests that at least four people ended up in hospital with bullet wounds. Even rubber bullets can inflict serious wounds when fired at close range. Far more than just an “incident”, the fiasco that culminated in the violent attack demonstrated the impossibility of delivering much-needed protection for refugees and migrants in Libya. European policies implemented with Libyan authorities in order to return as many people as possible to Libya have disastrous consequences that our teams witness every day. It is time to call unequivocally for an end to this sinister policy, and for the UN to make every effort to progress on tangible ways to protect refugees and migrants trapped in Libya, while scaling up existing evacuation mechanisms outside the country.